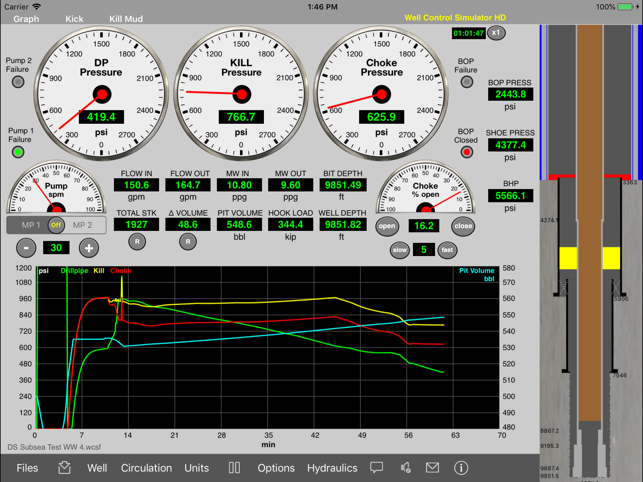 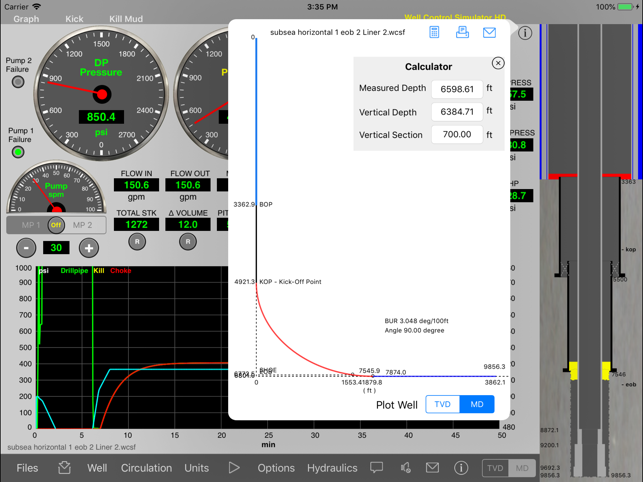 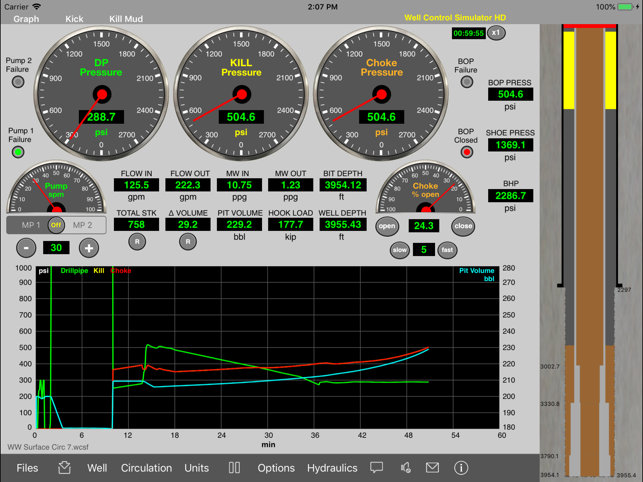 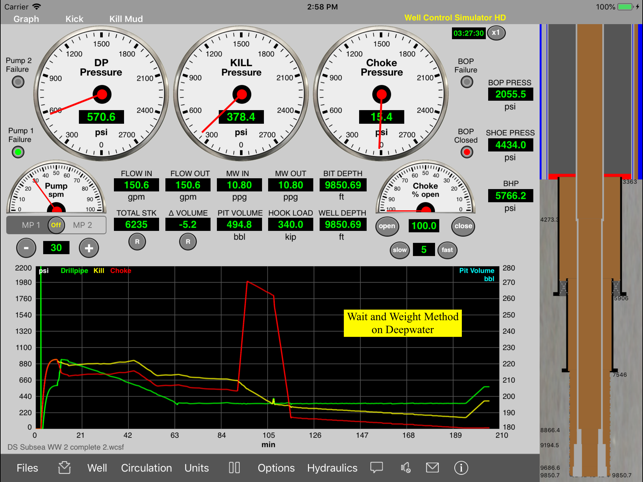 Well Control Simulator HD provides a graphical very useful tool for training of roughnecks, derrickmen, drillers, tool pushers, drilling engineers and students in the practices of the well control methods. 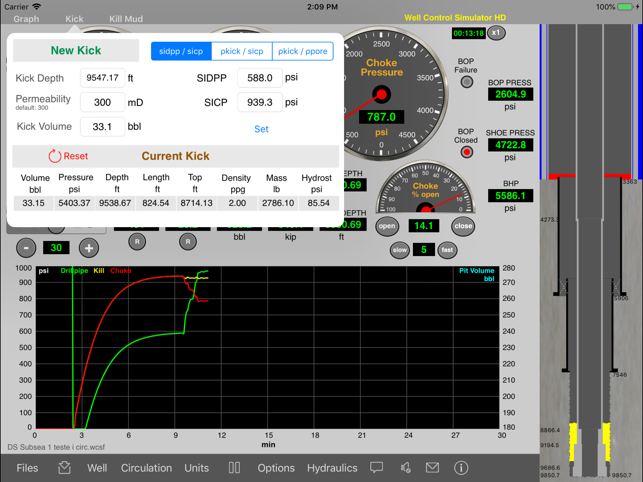 - In this simulator, the student inputs the kick parameters and applies a method to control. 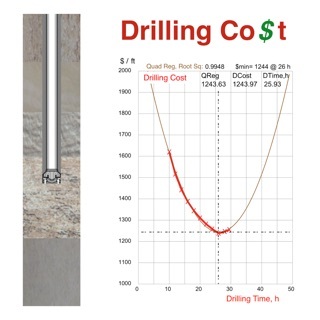 - No drilling. 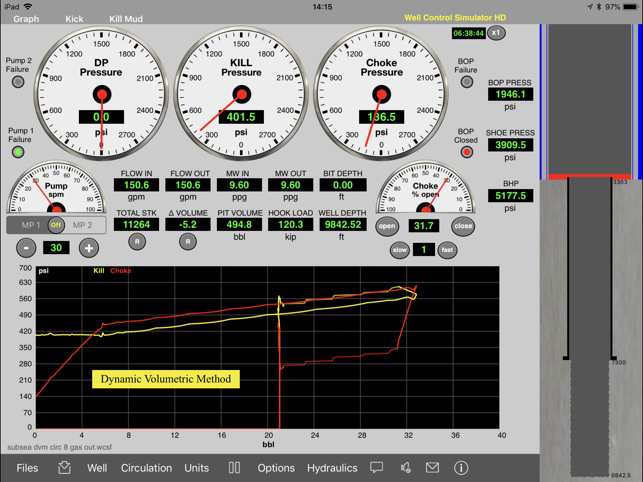 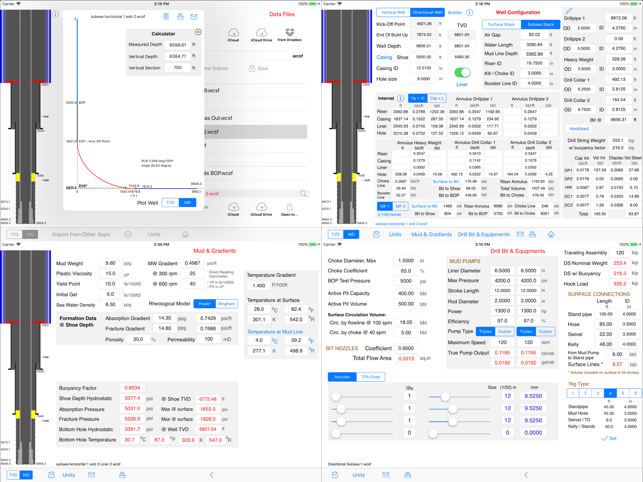 For drilling simulation and kick detection, check the Drilling Simulators apps available in our portfolio". 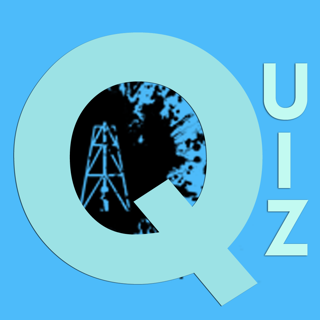 © 2011 CAFM, All rights reserved.